1-2-3 Steps to publicize your club fund raising events. A very simple way to Share Rotary Video on YouTube. If you use Real Player you can easily download and save YouTube videos on DVDs for your club. Public Service Annoucements, Posters, Newspaper supplements, Billboards, Internet, and Radio and the Print Media. All professionally done, and ready for you to use. You can also download Rotary logos, in all graphic and print formats, color or black and white, from the Graphics Section of the Rotary International Website: Theme logos, Rotary wheel, Paul Harris photos, Foundation logos, PolioPlus logo, etc. 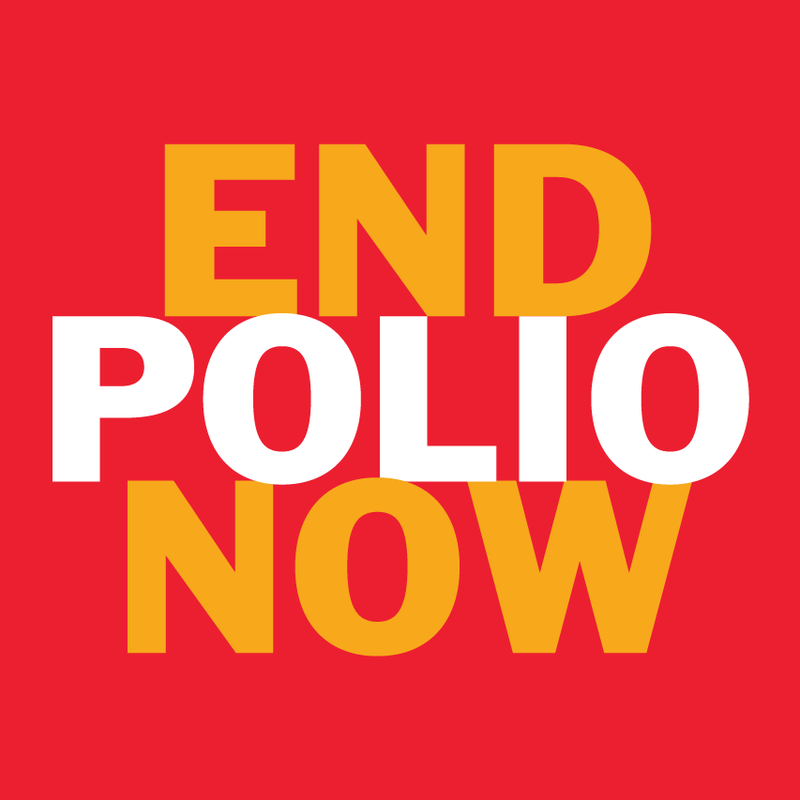 Rotary clubs around the world to light up iconic buildings with 'End Polio Now' message on February 23, 2010. Download the Public Relations Cheat Sheet provided by Past District Public Relations Chair Jack Berkman. For more information and Effective Public Relations tools for your Club, go to the Rotary International Public Relations website. This site provides detailed instructions on Tools of the Trade - Press Releases, Media Kit, News Conferences, Quick Tips, Interviews, and Promoting Rotary on the web. Rotary In Action Video Seriesis a total of seven TV Talk Shows produced by Marty Peters and Philippe Lamoise. The content of each show is designed to inform the general public about specific Rotary Programs. The Rotary In Action Talk show episodes have played multiple times on Time Warner and Adelphia Cable throughout San Diego, and once on COX. Order Now! The set of 12 Rotary In Action Shows is now available on DVD. To order the set of 2 DVDs (6 shows on each disk), send your address information and a $70 check to "Rotary In Action", PO Box 887, Solana Beach CA 92075, Tel 1-619-300-6060. If you plan to have this show aired on Local TV, you will need a set of tapes in a different format, like 3/4" or DV-CAM. Contact us for pricing information.